Luxury home staging represents the elite sector when it comes to the property staging industry. High-end homes must always be in top form when being listed for sale. Discriminating buyers will not even consider a luxury property which does not fulfill their every need and expectation. The higher the price of the home, the more this rule applies. Luckily, home staging works particularly well for expensive residences, since staging will enhance the property to highlight all of its beauty, while simultaneously disguising any potential liabilities of the home, which may turn off wealthy prospective buyers. The very idea of listing an unstaged luxury properly for sale in today’s competitive real estate climate is pure folly. This guide provides simple tips on optimizing the value of a luxury home in the competitive real estate marketplace. What is Luxury Home Staging? Home staging that is used in luxury residences is identical in theory to any other staging application. 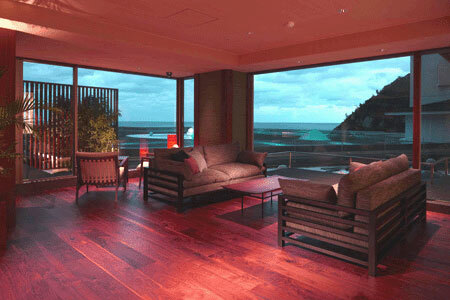 The goal is to improve the universal appeal of the home and optimize its charm and positive attributes. In practice, however, staging a luxury home can be very different, as the quality of the furnishings must match the price point of the property. Basically, while many typical homes are staged with lovely rented furniture and art, high-end homes must feature designer offerings across the board and original works of art from known and trendy designers. Obviously, the cost of home staging a luxury home can be exorbitant. However, the benefits of staging are identical to lower price point homes, in that the investment is likely to help facilitate a faster sale, at a higher price than a comparably unstaged home. 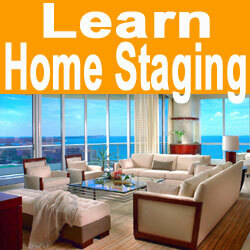 Staging high-end homes is a niche sector of the real estate staging business. Many home stagers do not even offer services for the most expensive homes that are for sale in their area. In fact, staging the priciest homes requires special training, as well as the ability to know the exact property trends which are in vogue at the moment. Additionally, the luxury stager must have access to an extensive collection of designer furniture, original art and expensive accessories. This certainly is a cost-prohibitive investment, since trends change too often to make actually purchasing these costly items worthwhile. For this reason, only a few stagers will have the needed industry contacts to allow them to acquire luxury products and fixtures complementary to the highest-end properties. Very few sellers contract home stagers directly to prepare their luxury residences for sale. 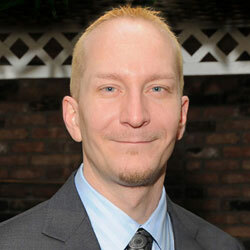 In the majority of cases, the stager is brought in by the real estate agent or broker handling the transaction. It is for this reason that the highest levels of home stagers are well connected to the best real estate professionals in their area. Without the support and patronage of the listing agent, the stager will not get much, if any, luxury work. If you are a real estate professional who specializes in luxury homes and you do not typically use a stager to get the home in top form prior to listing, you better wake up. You are not doing your clients, or yourself, any favors by listing the most expensive homes in their natural condition. Invest some time and effort into networking with some high-end stagers and put these people to work to make your inventory move much faster. Remember, the rich do not need or want to compromise on anything. The higher the pricetag, the more this fact holds true. Get that property is perfect form using home staging and create a idyllic dream home that will appeal to even the pickiest buyer.